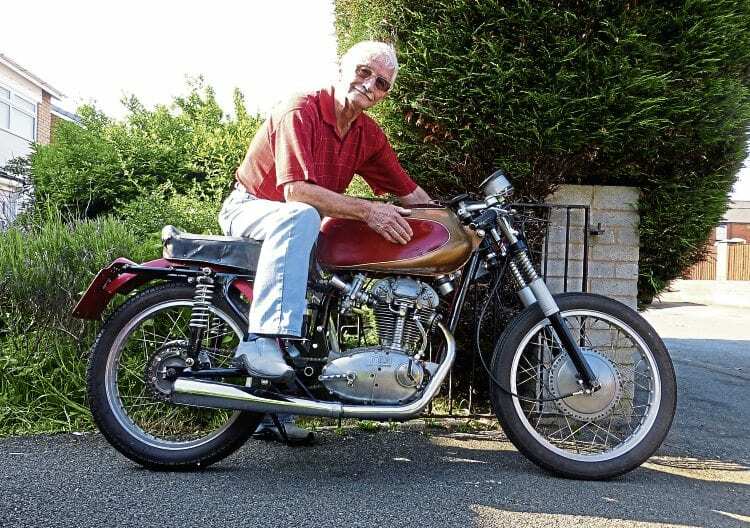 John Edwards recalls the excitement and euphoria of his own, on a side-valve 500cc 16H Norton that he bought for a heady £7 in 1958! Apart from some fun in a local park on my friend’s 32cc Cyclemaster-powered bicycle in 1957, I actually learned to ride in the spring of 1958 on a 1939 500cc 16H Norton. I’d bought this venerable machine from a school friend with money earned the previous year from a weekend/holiday job on Brighton’s West Pier, sadly now virtually non-existent. My school friend, Ian Sillito as I recall, had already bought a replacement for the Norton, and eagerly parted with it for the princely sum of £7. To my eyes, his new steed was a really ratty, oily old Velocette and nowhere near as nice as the Norton, but years later, somewhat less naïve and blessed with hindsight, I realised that the bike had been a Mark Vlll KTT Velo! Still an enthusiastic motorcyclist, John Edwards looks rightly proud of his gorgeous Ducati Silverstone. I wonder if Ian remained an enthusiast? A good mate of mine, Ronny Walsh, who, being a year older than I, already owned a bike, had offered to teach me to ride and also offered the use of his family’s garage (actually an old stone-floored stable) in which to house the Norton. of what to do on the day of my first lesson. Come the big day, Ian delivered the bike to my parents’ place, and within the hour I was clambering on to the pillion of the Norton behind Ron. My first riding lesson was to be on a quiet road up on the Downs beside Brighton’s golf course. My long-suffering mum, who never wanted me to ride a motorbike because of my crash-fest career as a maniac cyclist, was there to see us off. Read more and view more images in the July 2018 issue of OBM – on sale now! Next Post:In or out – it’s the defining question!